Warning: This is a shameless, unabashed fan blog. I was in bed last night decompressing from a wonderful family event, but a rough travel photography week in Colorado. I decided to thumb through some Instagram images and catch up with some blogs from fellow photographers. 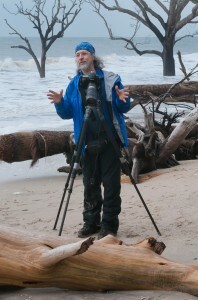 As it turns out, I hit upon images and a blog by one of my favorite photographers, Tony Sweet. And sweet it was, as I perused and admired Tony’s latest work. However, it was Tony’s latest blog that put something in perspective for me. At the very least, I think it would benefit every photographer to read it. Tony is surely one of the most prolific photographers on the scene today. He is a Nikon Legend Behind the Lens, and a consummate teacher of our craft. His workshops are typically sold out and highly praised, something I know personally because many of my own workshop participants speak glowingly of Tony. Let’s put that all aside for the moment. Tony would be nothing if he did not also have the skills, experience and creativity to back it all up. And I’m talking creativity on steroids. Tony is so far ahead of the rest of us, we can only stand around and say: “Whew! Who was that masked man?” Or in Tony’s case, that bandana’d man, because of his trademark headwear. Never content to stand still photographically, Tony inspires me with his risk-taking. His work can be splendidly traditional or push-the-envelope edgy. It blazes new ground. It is splashes of color, riffs of mood, blurs of movement, and texture you can almost feel. One wonders where all that creative vision and professional intensity comes from. Well, listen up, because Tony’s latest blog provides us with the answer; something I knew about Tony’s past, but never really grocked until now. I pulled this quote from his blog. I don’t know about you, but I find it somehow comforting that Tony has a jazz suite going on in his head. He’s in his own world when it comes to photography, and that makes our world a whole lot better. Thanks, Tony… and have a well-deserved nap!